The complex of tunnels was formed between 1946 and 1948 48 during the resistance war against French aggression. 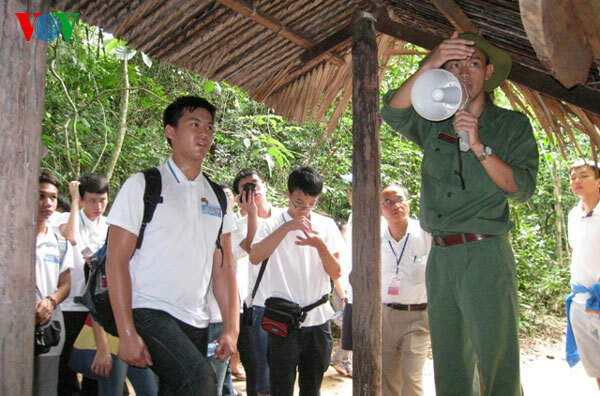 During the Vietnam War, the tunnels, built on an area of the so-called “Iron Land” in Southern Vietnam, were used as hospitals, communication and supply routes, and living quarters for Vietnamese soldiers. The tunnels, dug deep underground, can withstand destructive bombs. Air is taken in through the tunnel vents. The different areas of the system can be isolated when necessary. The system is comprised of three floors, with the first 3m deep and able to resist artillery, tanks and armoured vehicles. The second floor is 5m deep under the ground and able to resist small bombs. The ground floor is 8-10m deep. The complex has been preserved as a war memorial and a tourist destination.